This Blue and White Spring Tablescape from Cassie at Primitive and Proper would be just perfect for Easter this weekend, or any time! 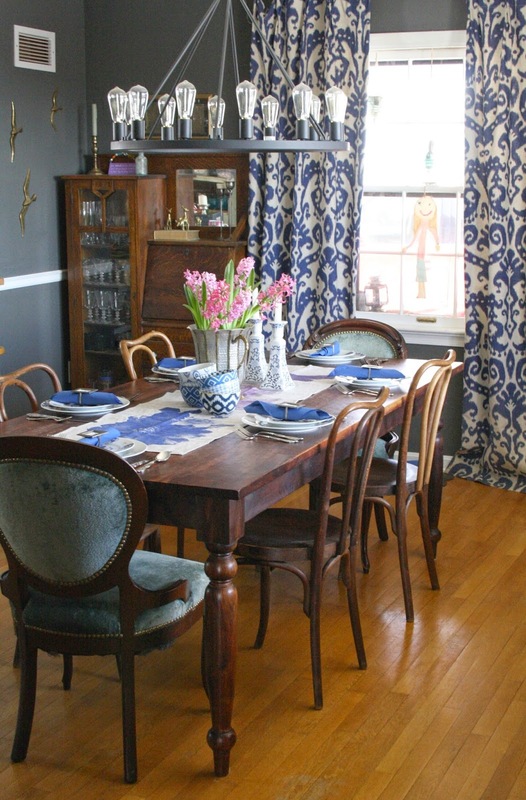 She used some fun thrifted finds to create a beautiful table, which complements her fabulous dining room beautifully. 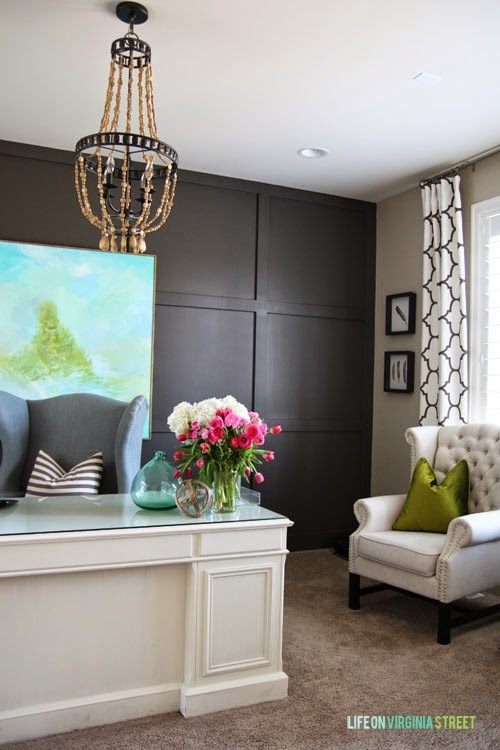 I've had the itch to switch a few things up for Spring, and Sarah from Life on Virginia Street shared lots of great ideas in her Spring Home Tour. 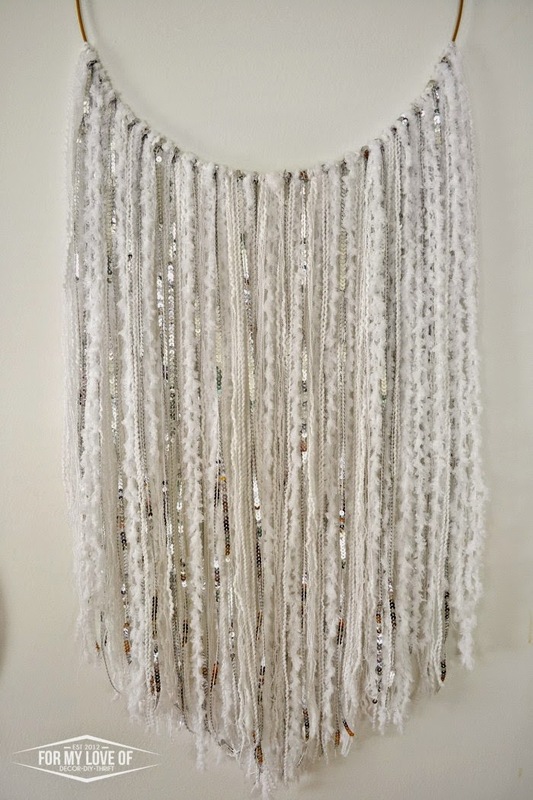 This stylish Moroccan Wedding Blanket Wall Hanging is the creation of Corinna from For My Love Of. Such a simple DIY requiring only a few supplies. It would make a great addition to a gallery wall, but is pretty enough to stand on it's own too. Kristine from Teeny Ideas showed us her Door to Floor Mirror. Isn't it just the cutest thing? Brilliant idea, Kristine! I love how unique this piece is and what a statement it makes. Have a great weekend, friends. I hope you all have a very blessed and Happy Easter. thank you so much for featuring my table! happy easter weekend! Love it all! Happy Easter! 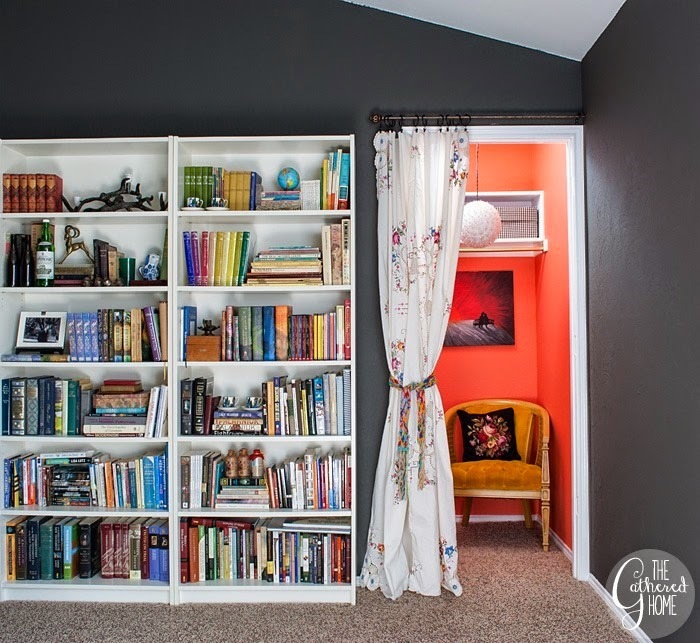 Thank you so much for featuring my reading nook, Jennifer! Have a lovely Easter weekend! Gosh, those are all SOOOO amazing!!! I love them all! 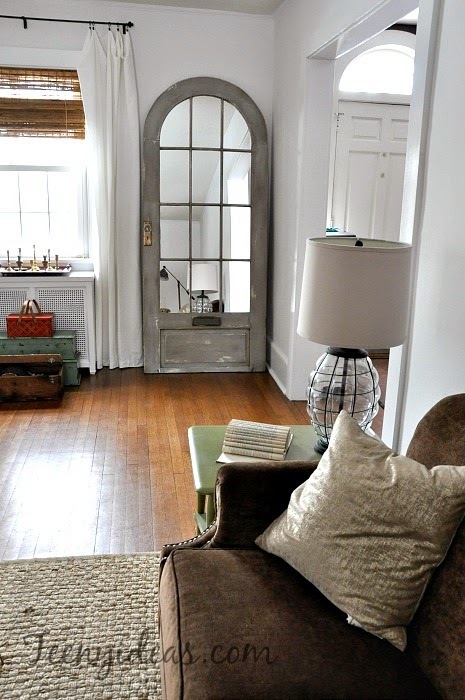 That mirror is so cool, I love the curved top!